In double inlet & Double width design with double current backward tip bladed impellers. We specialize in offering a wide gamut of Centrifugal Backward Curved Fan in the industry. The Centrifugal Backward Curved Fan consists of an external rotor motor with a plastic or metallic backward curved impeller assembly. 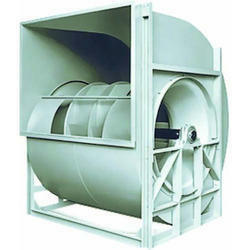 Centrifugal Backward Curved Fan is used mainly for intake suction. It is used for continuous operation. powercharacteristics impeller operates quietly Self cleaningmblade surfaces allow light dust loadings and fume exhaust. Mechanical efficiency reaches upto 80 percent. 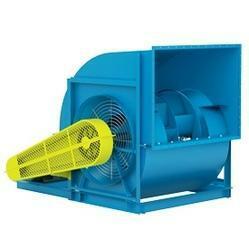 In order to retain our goodwill in this industry, we are providing a latest array of Backward Curve Heavy Duty Fans. Pressure: 30mm WG to 125mm wg. We are identified as one of the leading names in the market engaged in providing a wide range of AC Backward Curved Metal Fans to our valued clients. We deals in all type hicool make backward curved fans.cat. available on demand. Precision engineered, these fans are known for their high performance, robust design and better durability. Available in different technical specifications, these can also be customized as per the specific requirements of the clients. We offer a wide range of Backward Curved Fans , which are acknowledged for providing efficient functioning and desired results.The clients are highly satisfied with the performance of Backward Curved Fans , offered by us. We are considered to be one of the prime Suppliers of Backward Curved Fans in India.